Is Liverpool's name on the title? After Liverpool's tense and lucky win against Tottenham on Sunday, many people on all sides of the debate believed that maybe, just maybe, it is. Jordan Pickford and Hugo Lloris have made important contributions for Liverpool at critical stages of the season, but nothing could be more important than Lloris's intervention in the title race at Anfield this weekend. Liverpool are now on 79 points - the same total they finished the season with when they won the league in 1990 - but still the feeling persists that Jurgen Klopp's side are stumbling in the title race. They have squandered the lead they had over Manchester City but they are top again -despite having played a game more - thanks to that win over Tottenham - and Lloris and Toby Alderweireld. But there are still the same problems for Liverpool and on The Football Spin, Dion Fanning and Paddy McKenna are joined by Tony Evans to discuss them. 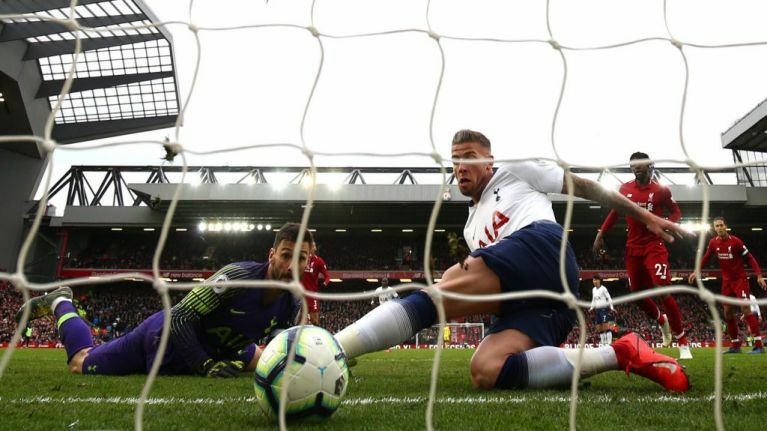 Mo Salah was trying to talk up his involvement in the Alderweireld own goal, but will it be enough to get him back into the form he showed last season? Tony Evans says Salah needs to forget about last season because he'll probably never experience anything like that again. Tony also discussed the Liverpool midfield problem and why Naby Keita has been a disappointment to many at the club who expected him to solve the creativity problems this season. He also explains why Fabinho hasn't been selected as often as some supporters would like. 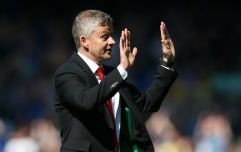 They also talked about Neil Warnock's complaints after Cardiff's defeat at Chelsea, the gap between the top and bottom of the Premier League and if this is an issue that should concern the league. Chelsea are still in contention for a top four spot but what do their supporters want and why do they blame Sarri when they have bigger problems? Listen to The Football Spin here.